Summary of European country questionnaires. The present report is about methodologies used in European countries for river hydromorphological assessment and monitoring across scales. It has been developed as part of the work programme 2016-2018 of the Common Implementation Strategy Ad-hoc Task Group on Hydromorphology. 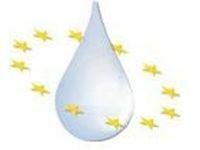 It summarises key information reported via a questionnaire on hydromorphological assessment methods used in European countries for WFD implementation. The report is available for download. The experience from implementing the WFD so far shows that there is a need to take hydromorphology better into account, in status assessment, monitoring, characterisation as well as in the design and implementation of measures. Especially, the assessment of hydromorphological pressures needs to be improved substantially. The availability of information on hydromorphological pressures for the first River Basin Management Plans (RBMPs) was scarce in many Member States, as this issue was largely not regulated before the WFD. However, it is expected that Member States will have much better information basis for the update of the pressures and impacts analysis for the 2nd RBMPs. Kampa, E. & Bussettini, M., 2018. River Hydromorphological Assessment and Monitoring Methodologies: Part 1 – Summary of European country questionnaires.